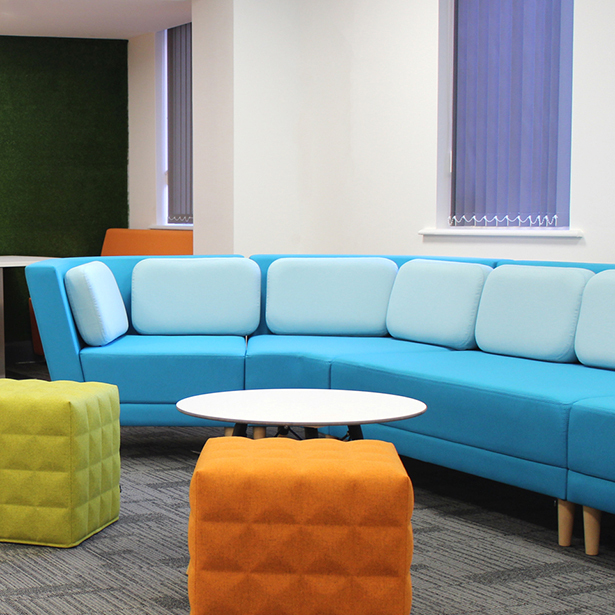 Liberty Marketing wanted to alter the way in which they use their existing building, transforming the ground floor into a space for welcoming guests as well as houses flexible meeting spaces. 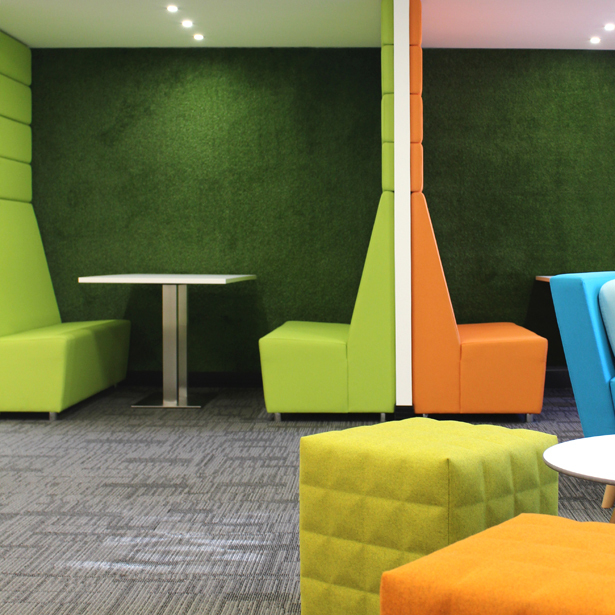 Working with D&G Office Interiors, a vibrant, fun space that had bright pops of colour boosting creativity, collaboration and productivity, was created. 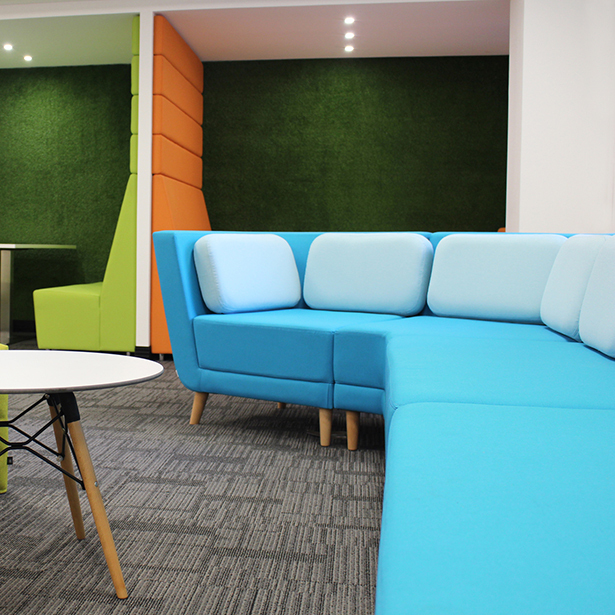 The client wanted to steer clear of the corporate look and instead build on playfulness throughout the space, choosing an expansive ‘Circe’ sofa layout to create a focal point in the space. 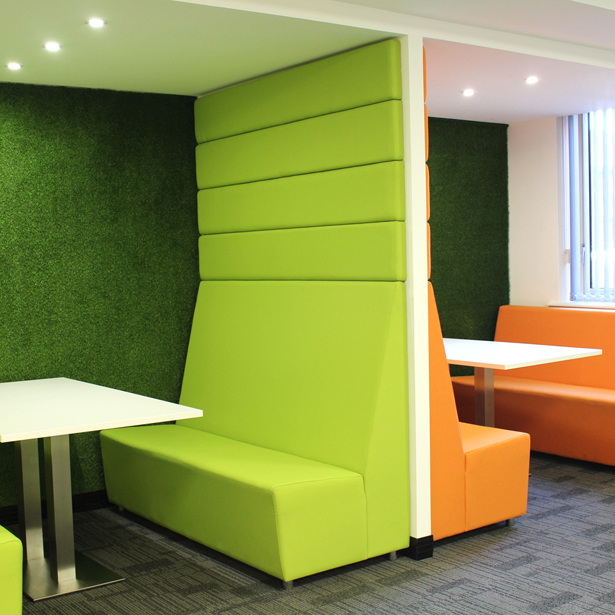 Additional casual meeting spaces were created using our ‘Tolv’ modular seating system, designed to be tailored to custom sizes allowing perfect integration within the customer’s interior space.